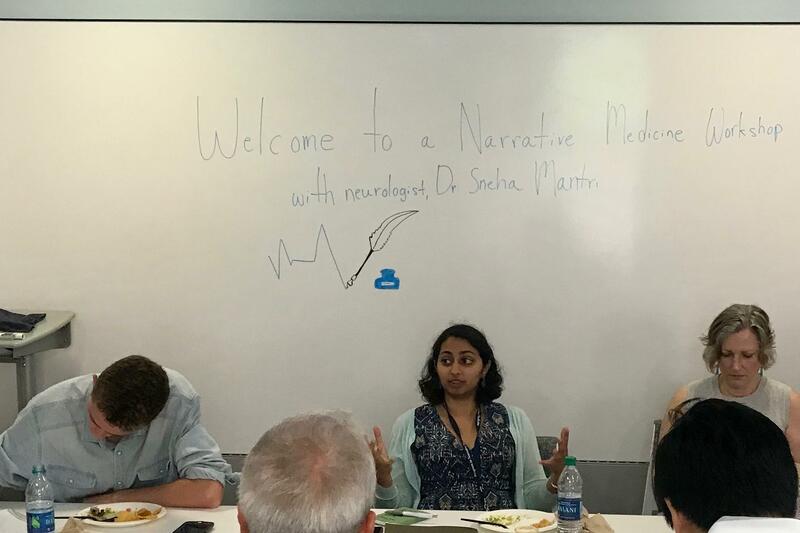 Join us for a narrative medicine workshop led by Dr. Sneha Mantri, a neurologist trained in movement disorders and narrative medicine. Narrative medicine is an approach to medical humanities that centers the importance of storytelling in the clinical encounter. The workshop will start with an overview of the foundational principles of narrative medicine-attention, representation, and affiliation-before moving into the ways in which the field has blossomed in the last two decades. We'll spend the majority of the time "in workshop," analyzing selections from a recently published novel and then writing in the shadow of the text. The final portion of the workshop will be an exploration of narrative medicine opportunities here at Duke. Food will be served.